Three-time world champion, Niki Lauda, now non-executive chairman with the Mercedes F1 team, has revealed that Sebastian Vettel sent him a handwritten note as he recovered from the lung transplant he underwent in the summer. "The letter written by Sebastian, in his own hand, was a great pleasure for me, full of fine words and affectionate considerations," the Austrian legend tells La Gazzetta dello Sport. "I didn't expect it, usually drivers don't do these things, they just drive. But he's a good person. "He has had moments of discouragement, we know," he said of the string of errors Vettel made in the latter stages of the season, "but it would be absurd to question him. He will recover, a champion will not forget how to drive. He'll come back strong as ever and he'll still be Hamilton's rival in 2019." 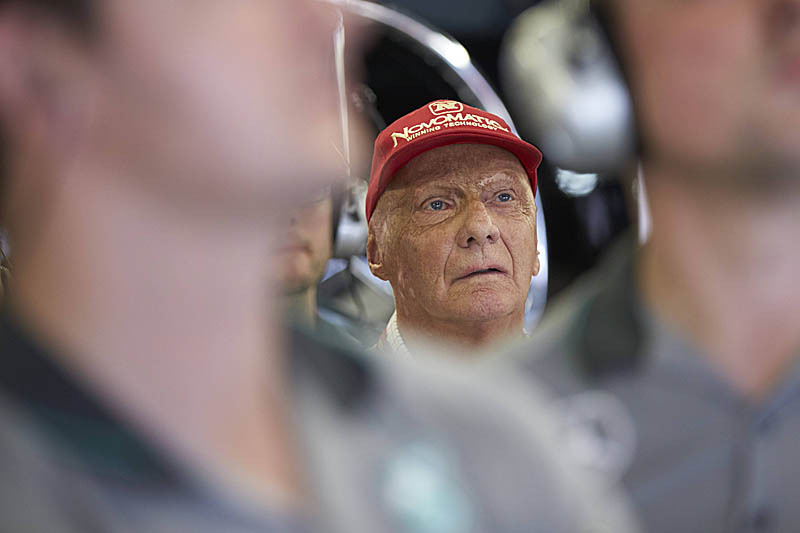 Despite the long recovery process following the operation in August, Lauda reveals that was kept fully up to speed on Lewis Hamilton and Mercedes efforts as they sought to claim their fifth titles. "I didn't miss a single grand prix, even though I was in the company of so many IV," he said. "I watched all the races, called the pits on the weekends, and they always told me what was going on. It was like being on the edge of the track with the others. I have to say that I, once again, discovered the warmth of the people I've been working with for years." Released from hospital in late October, Lauda is now back in Ibiza for Christmas, though he has a strict training schedule planned. Referring to the operation, which took place at a time his life expectancy was measured in days, the Austrian said: "I knew it would be hard, very hard. "In such conditions I could only do one thing, fight," he added. "I did it for every moment, I'm still doing it. "Being within my own four walls is something else," he admitted. "The air here is cleaner, the climate is not as bad as in Austria. In a month, they told me, I should be fully fit and ready to start again. I'll follow the grands prix as before. Why not?" "One of the true great men of F1. Total respect. Looking forward to seeing you back in the paddock."